Mary Blanche Gray, 82, passed away Friday morning, July 20, 2018 in Birmingham, Alabama. 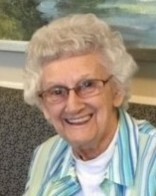 She was formerly a resident of Soddy-Daisy and a member of Sale Creek Independent Presbyterian Church. She was born August 28, 1935, in Chattanooga to the late Robert W. and Ruth (McCree). She was preceded in death by her siblings, Betty Ray, Eleanor Hall, and David Gray; and by her nephews Robert Hall and Larry Ray. Mary attended Chattanooga schools and graduated from Red Bank High School in 1953. She earned a Bachelor’s Degree in Education from Memphis State University and a Master’s Degree in Special Education from West Georgia College.Mary taught elementary education for parts of 5 decades in a variety of locales, including Ft. Walton Beach, Florida, Newfoundland, Canada, Berlin, Germany, Memphis, and Hamilton County. Mary had a tremendous love of music. She sang in church choirs and played a variety of musical instruments. She traveled throughout eastern Tennessee and North Georgia with dulcimer groups, performing gospel and folk music. She also loved to explore the world, visiting the Middle East, Europe, Australia, and New Zealand. Mary is survived by her niece Jonna Wallace (Terry) of Birmingham, Alabama; nephews Joel Hall (Kathy) of Birmingham, Alabama; and Alan Ray (Margot) of Sacramento, California; and a sister-in-law Caroline Gray of Brentwood, California. She is also survived by 4 great nephews and 3 great nieces. Funeral services will be held Sunday, July 29 at the Williamson and Sons Funeral Home in Soddy-Daisy. Visitation will be from 1-2pm, with the service to be held in the chapel at 2pm. Pastor Phil Evaul will officiate. She will be laid to rest next to family members in the Soddy Presbyterian Cemetery. Memorial contributions may be sent to the Sale Creek Independent Presbyterian Church, or to the Dementia Society of America (dementiasociety.org).